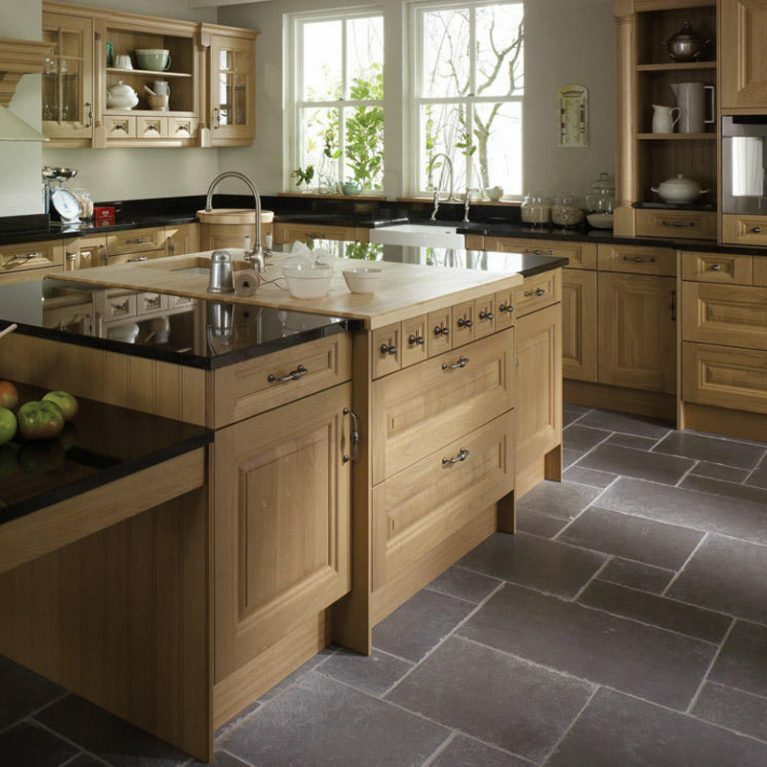 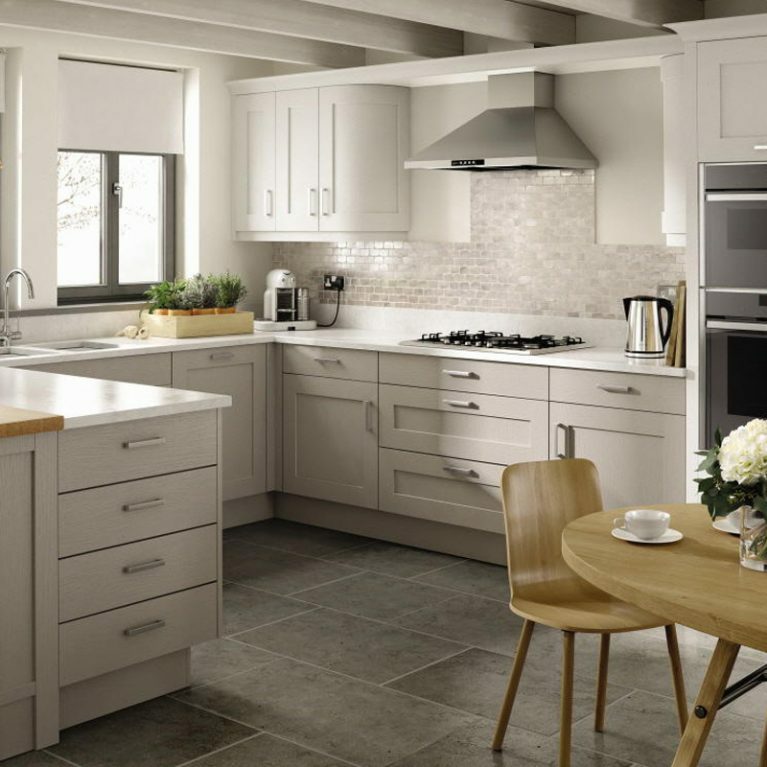 If you’re looking for a kitchen which is every inch as stylish as it is functional, then the Lichfield could be the answer to your prayers. 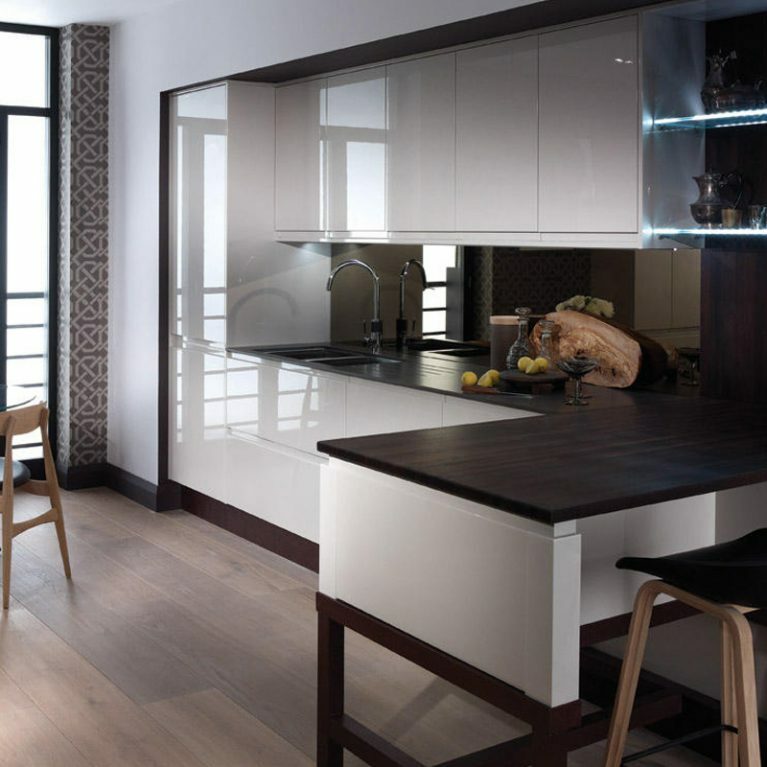 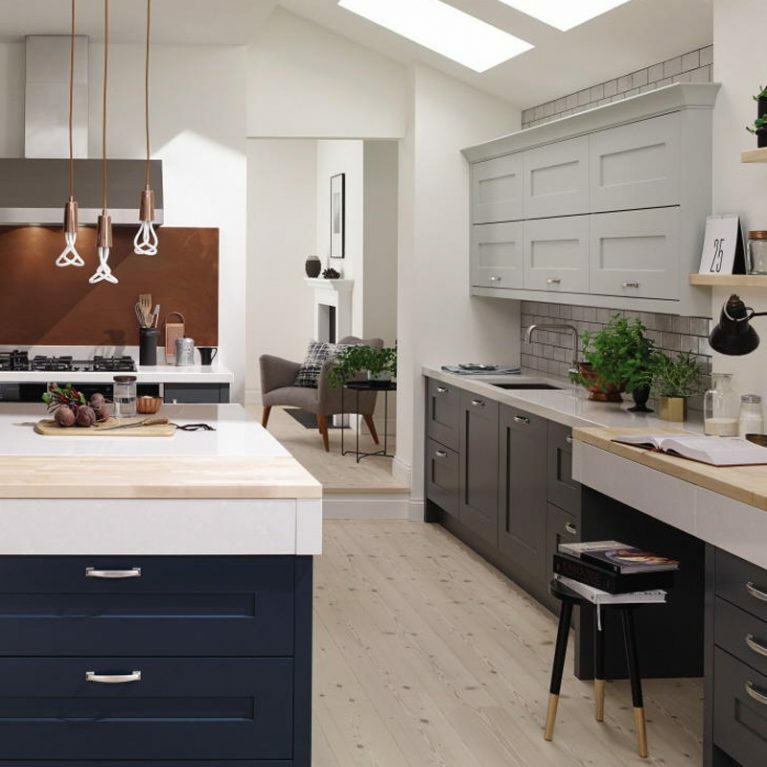 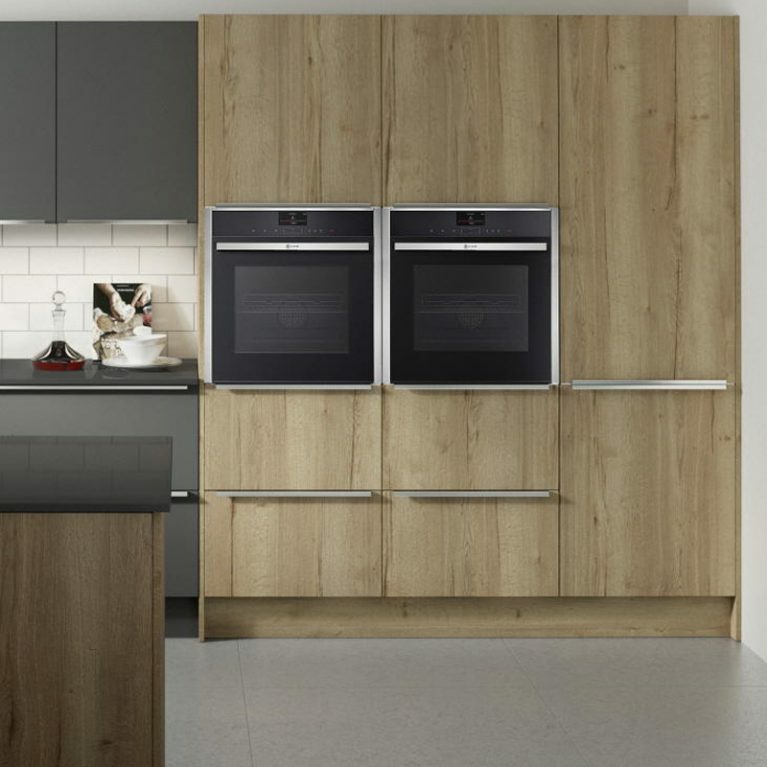 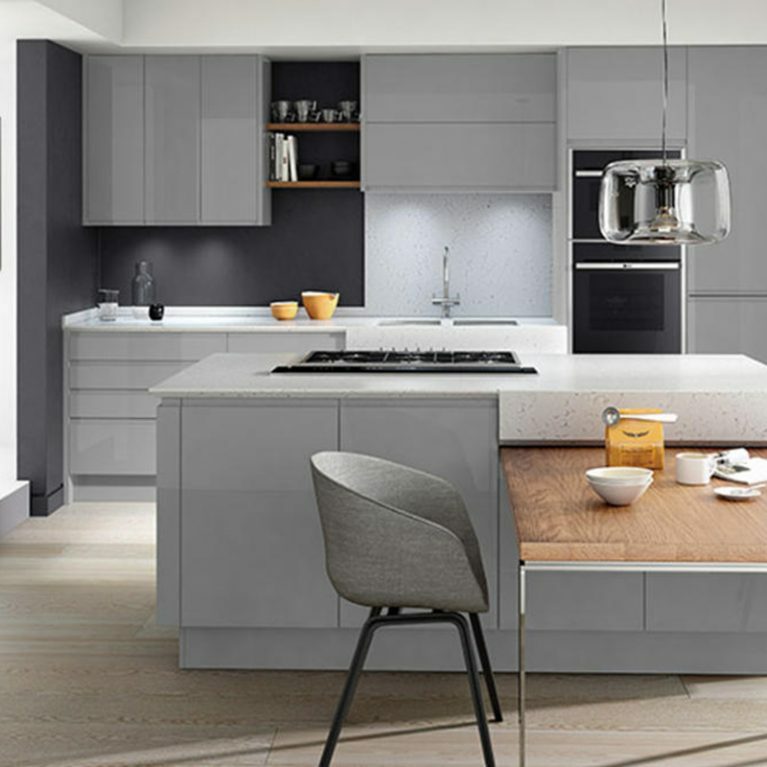 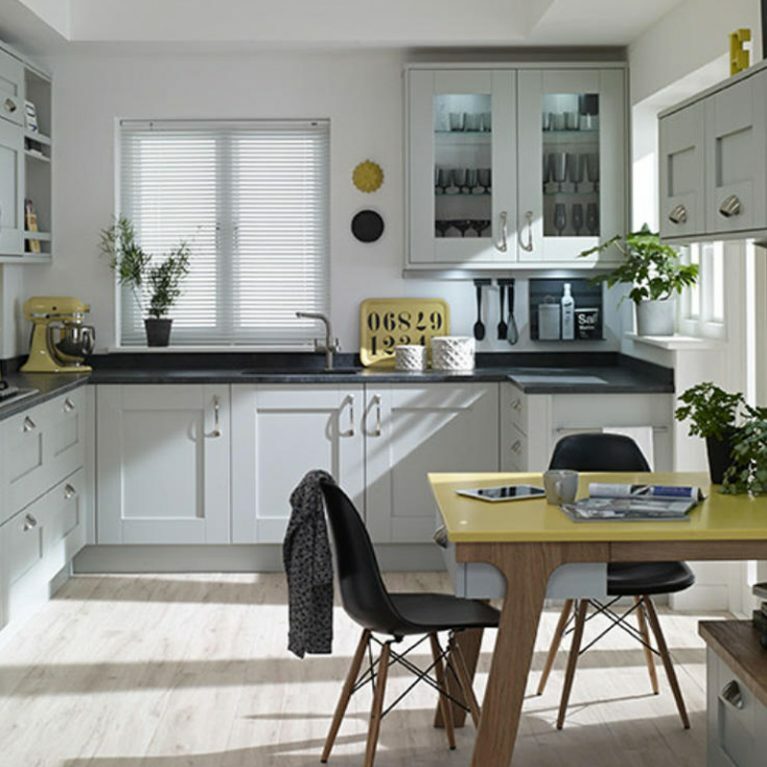 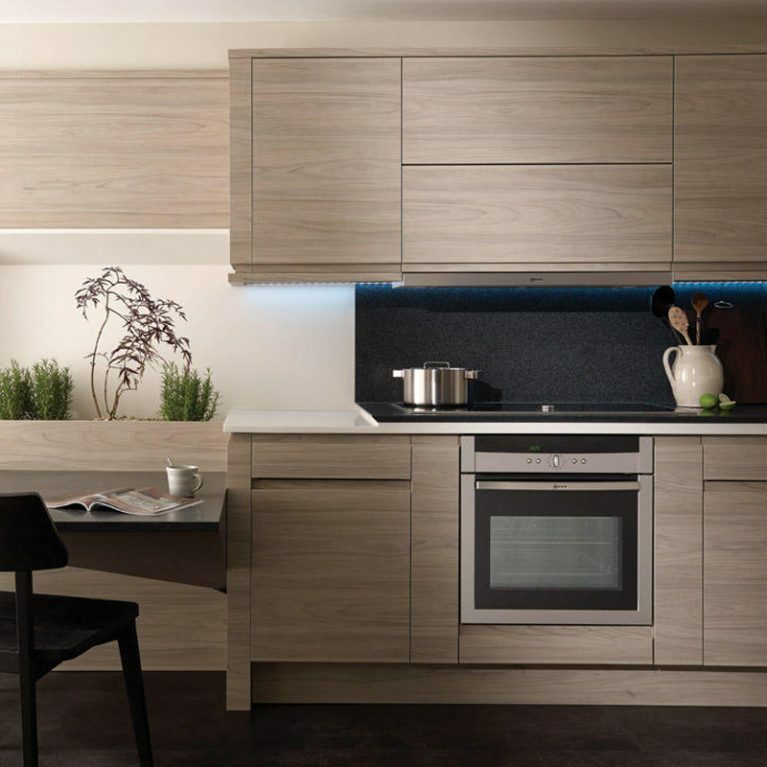 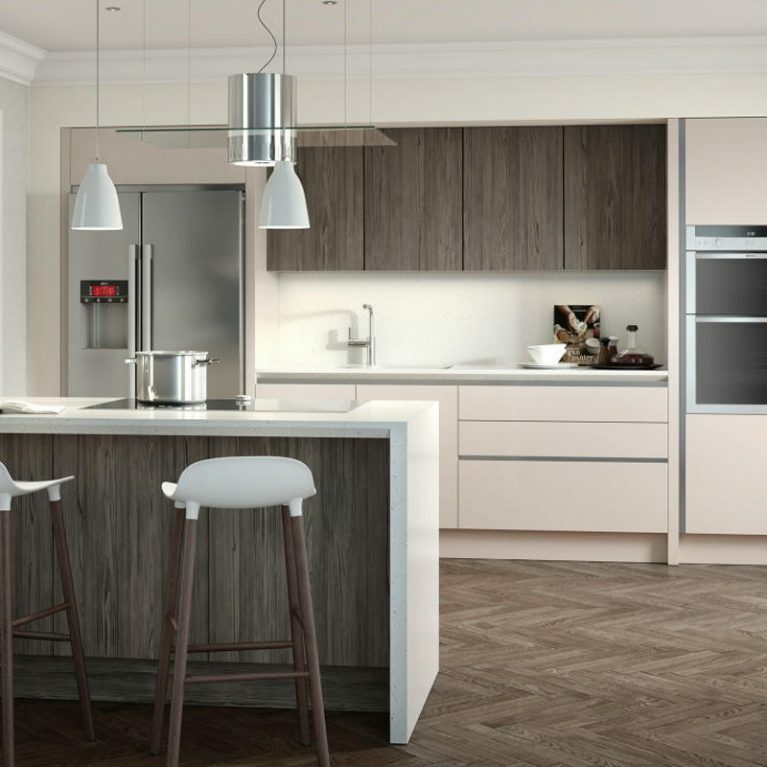 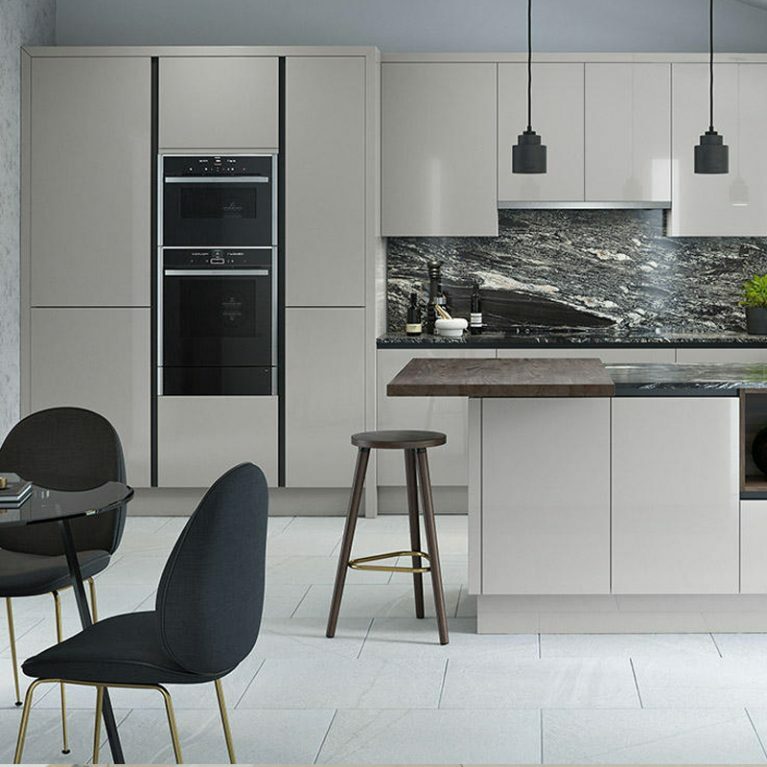 The Lichfield modern kitchen is a gorgeous and contemporary option that will transform your home, enabling you to maximise space and storage whilst looking slick at the very same time. 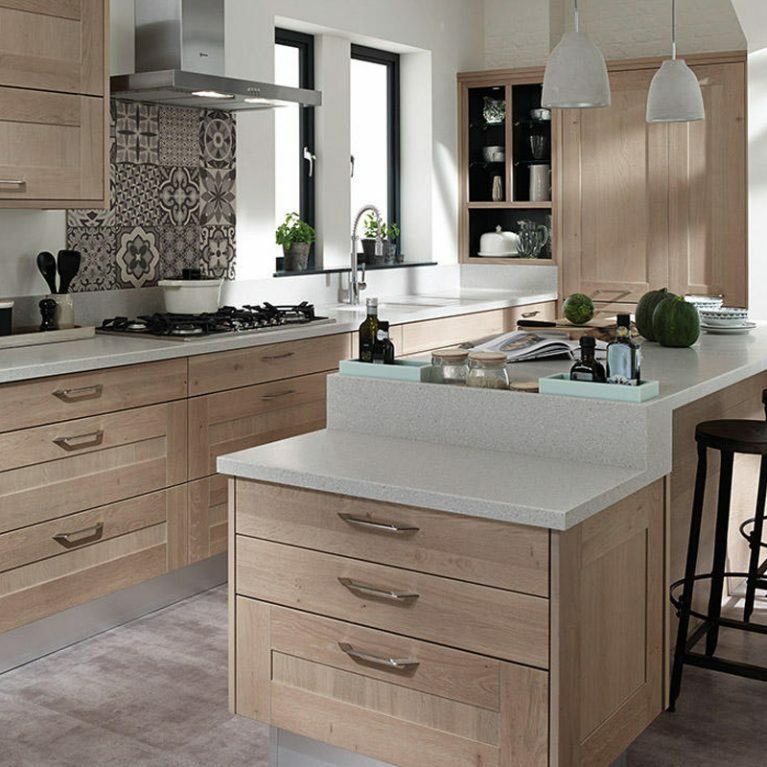 The Lichfield is finished with an incredibly modern J-pull design, leaving the finish of the cupboards looking incredibly clean and smooth.The classic shaker design of the Lichfield modern kitchen means that your storage opportunities are seemingly endless, however the intricate framework detailing helps to keep the finish neat and seamless. 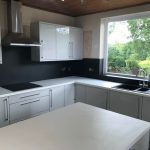 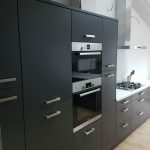 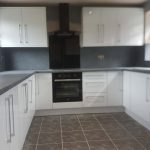 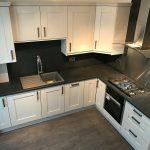 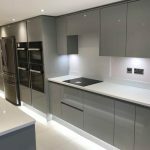 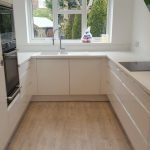 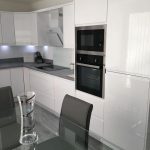 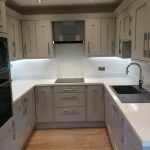 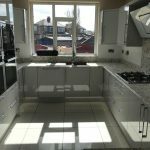 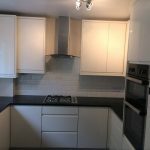 You’ll find plenty of cupboard space that is both tucked away into the main body of the kitchen and fitted higher to the walls, so all of your kitchen essentials will have a home. 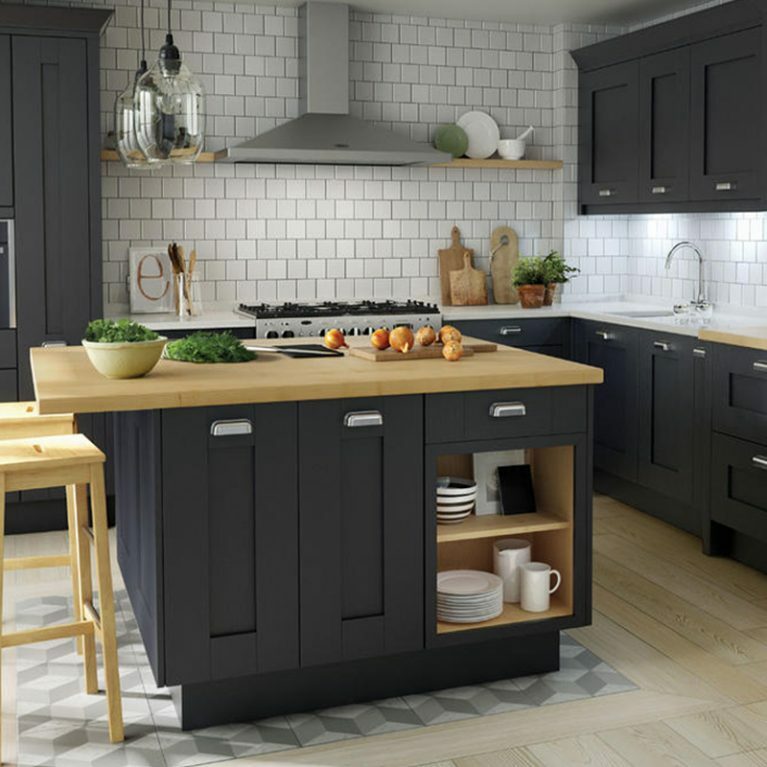 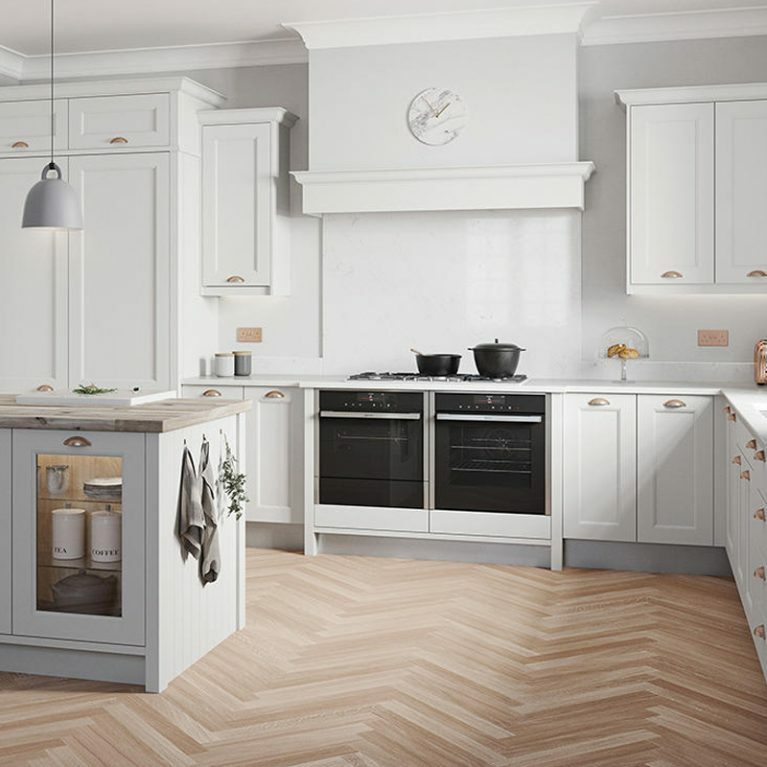 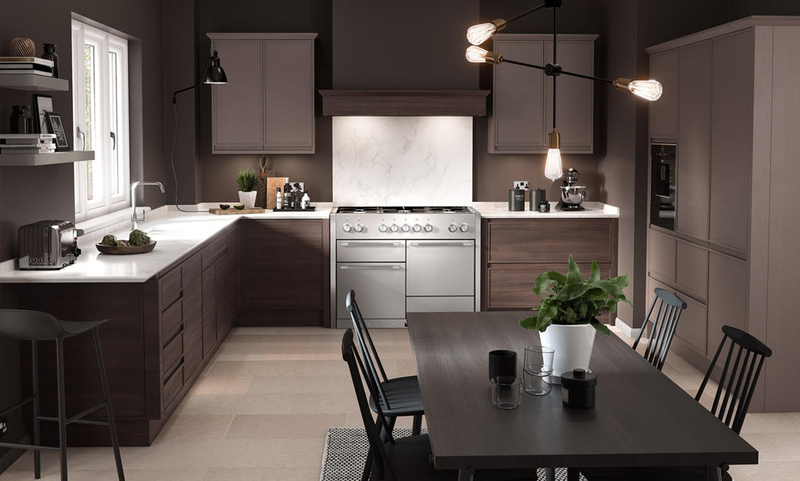 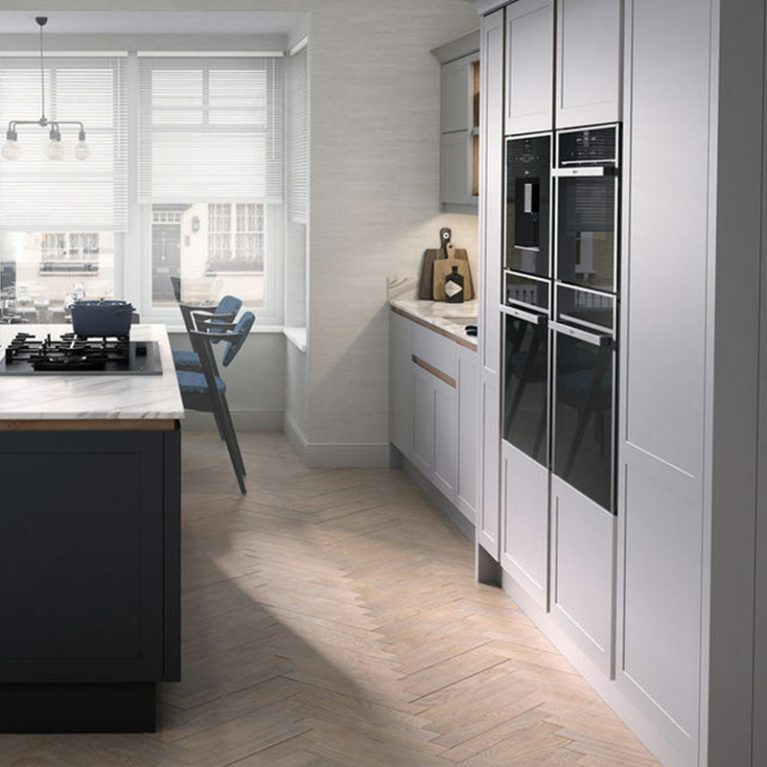 Available in a host of gorgeous colours, you can choose from porcelain, partridge grey, espresso and rye oak – each of which offering a completely unique look and feel for your kitchen. 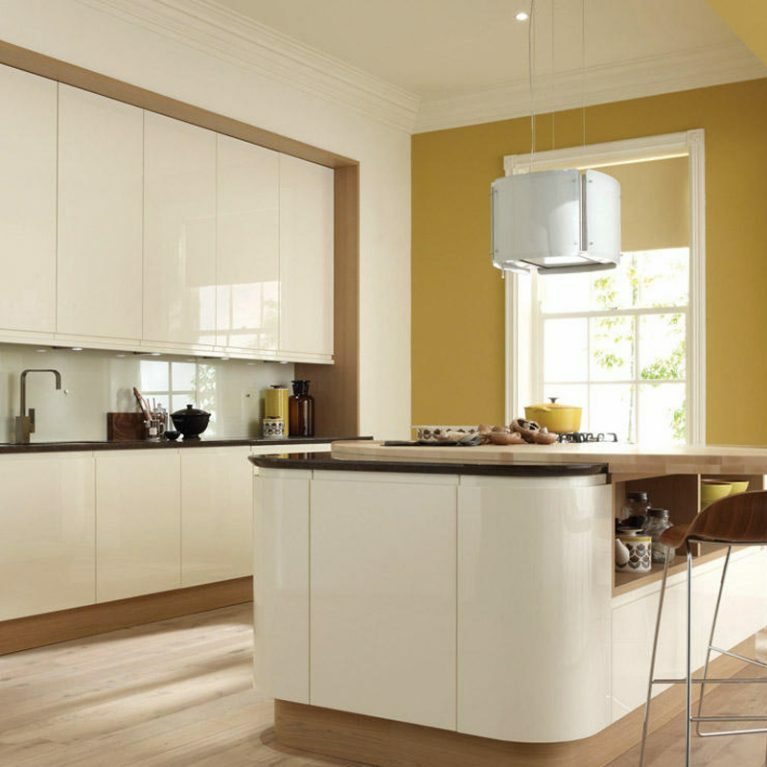 There are also 27 other custom colours available for you to choose from. 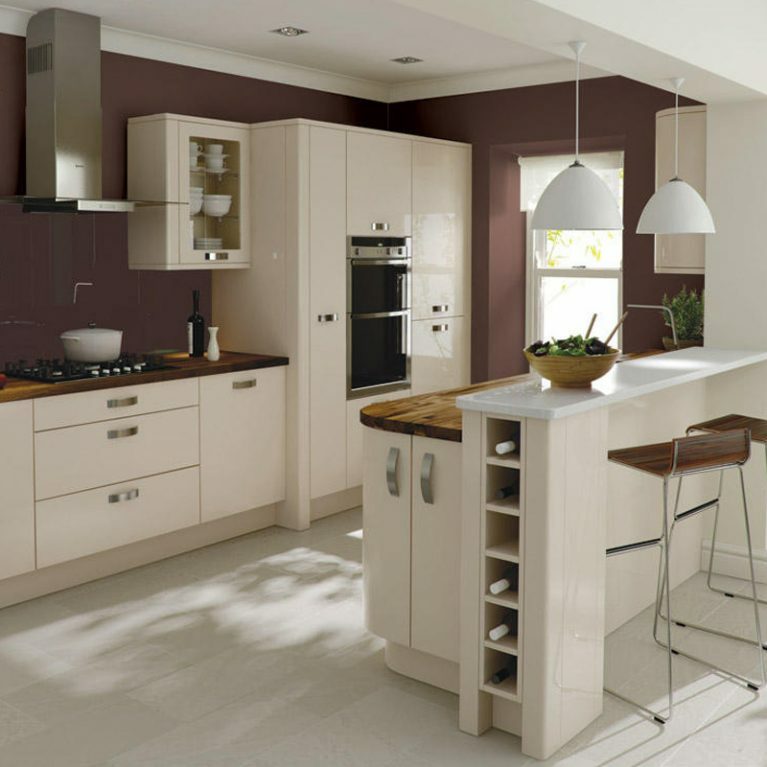 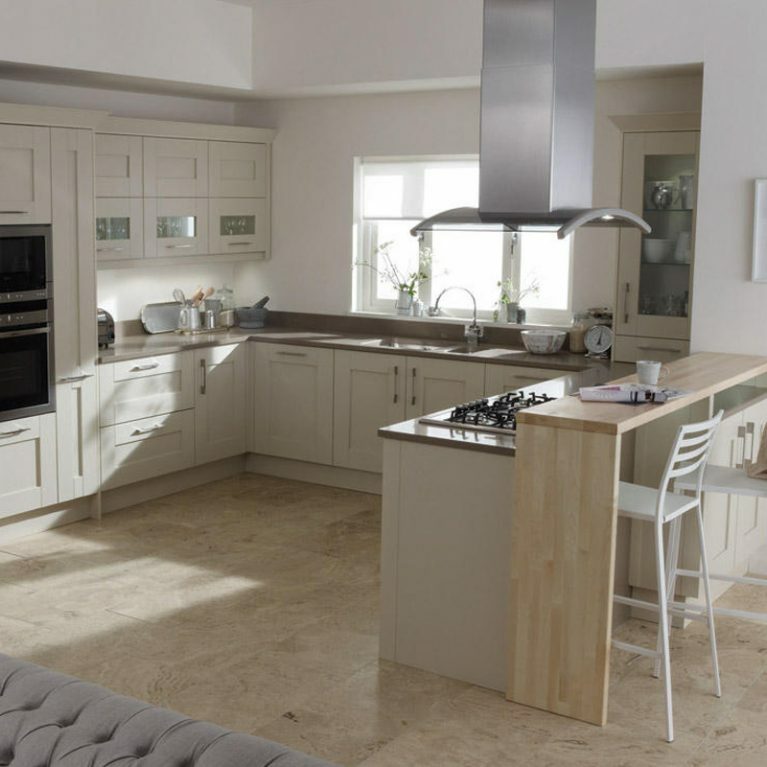 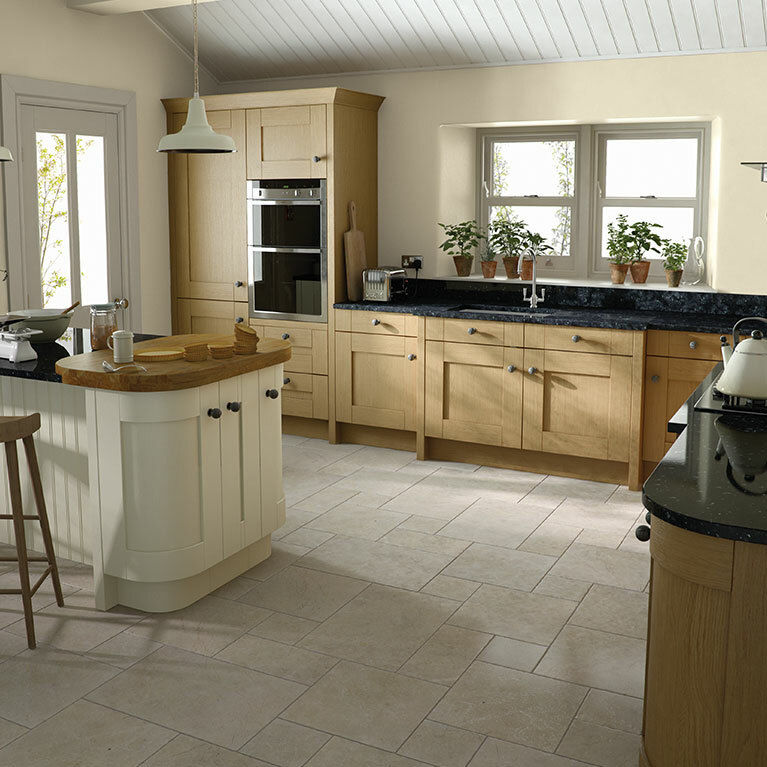 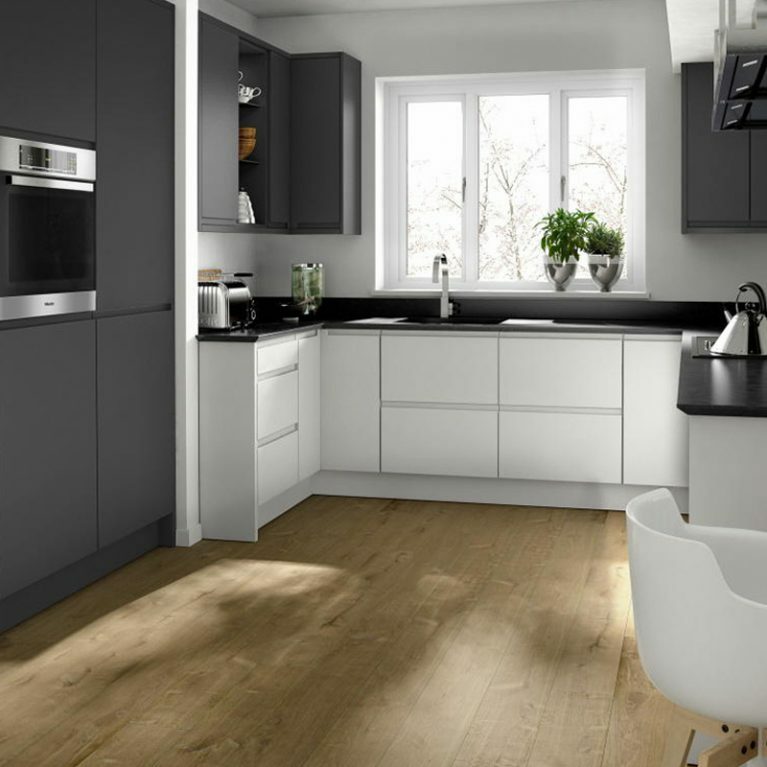 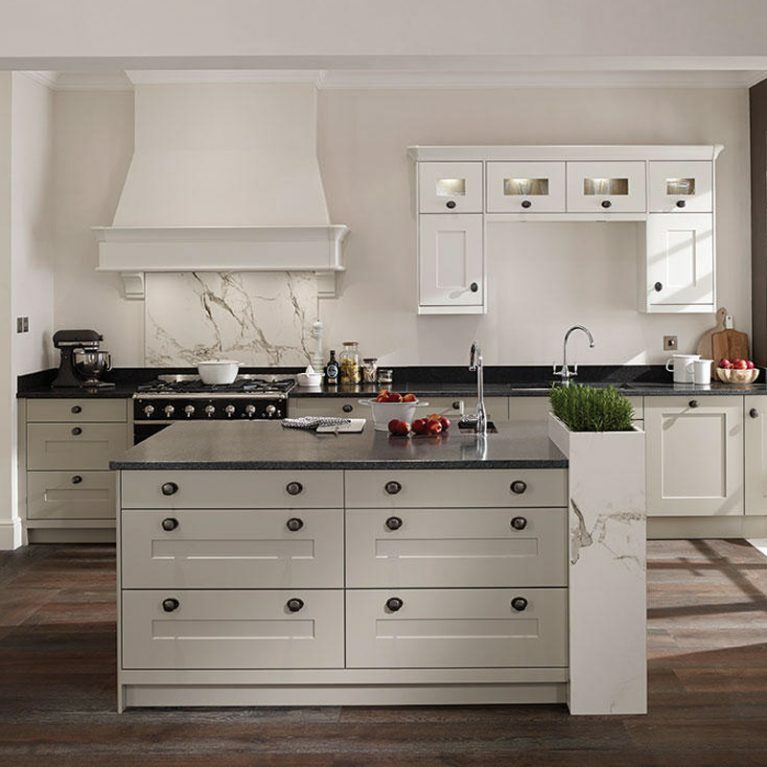 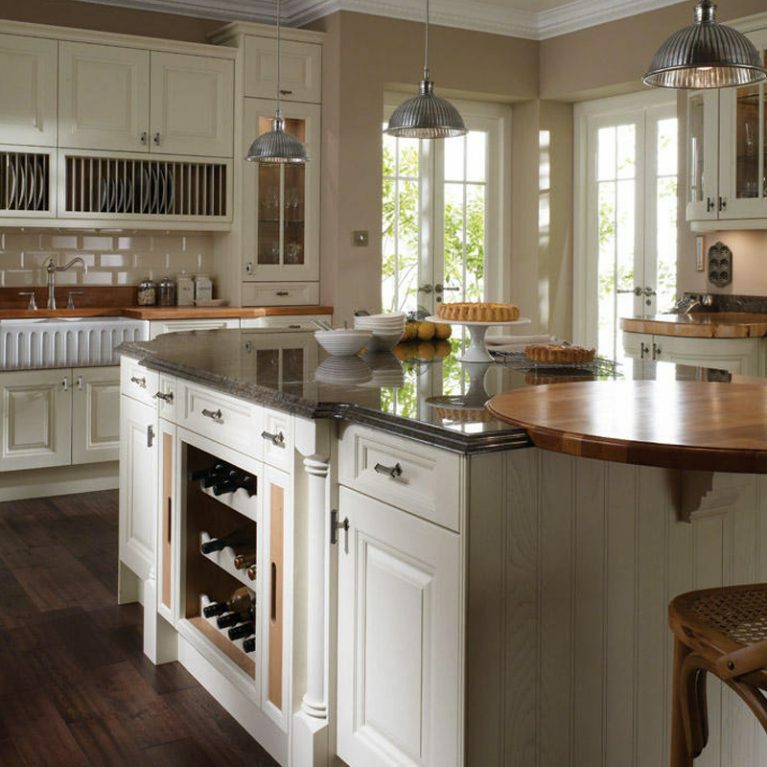 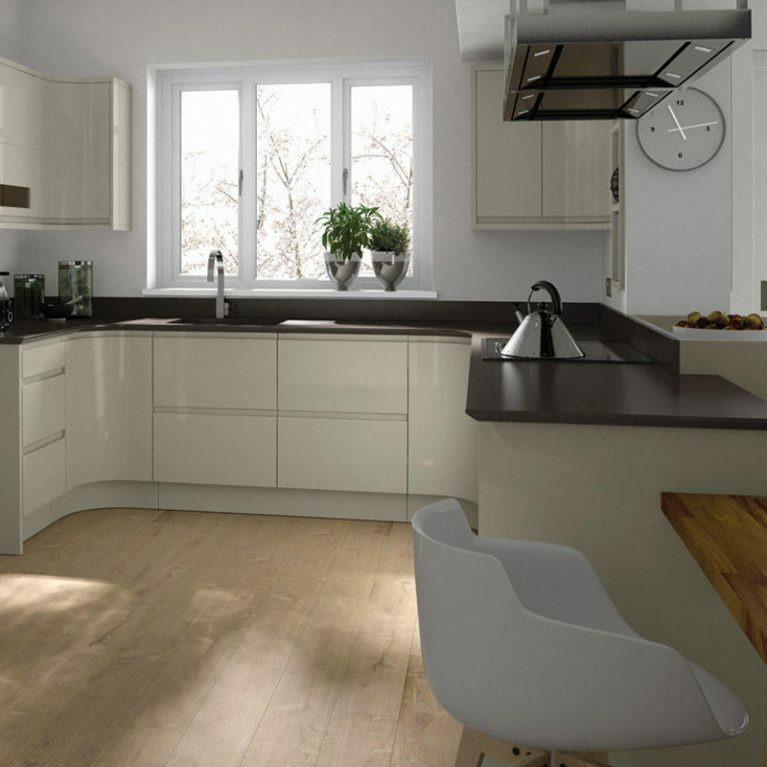 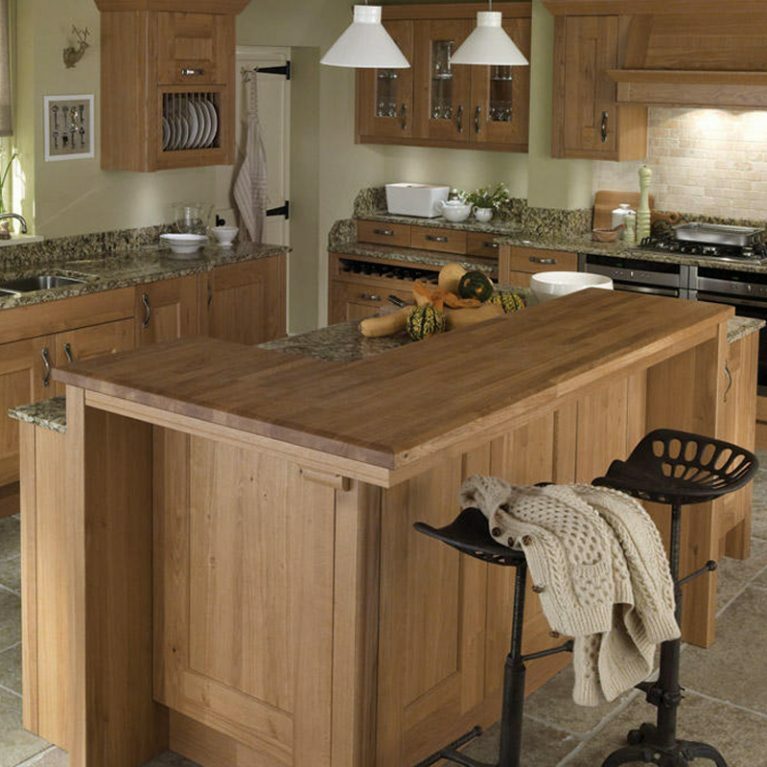 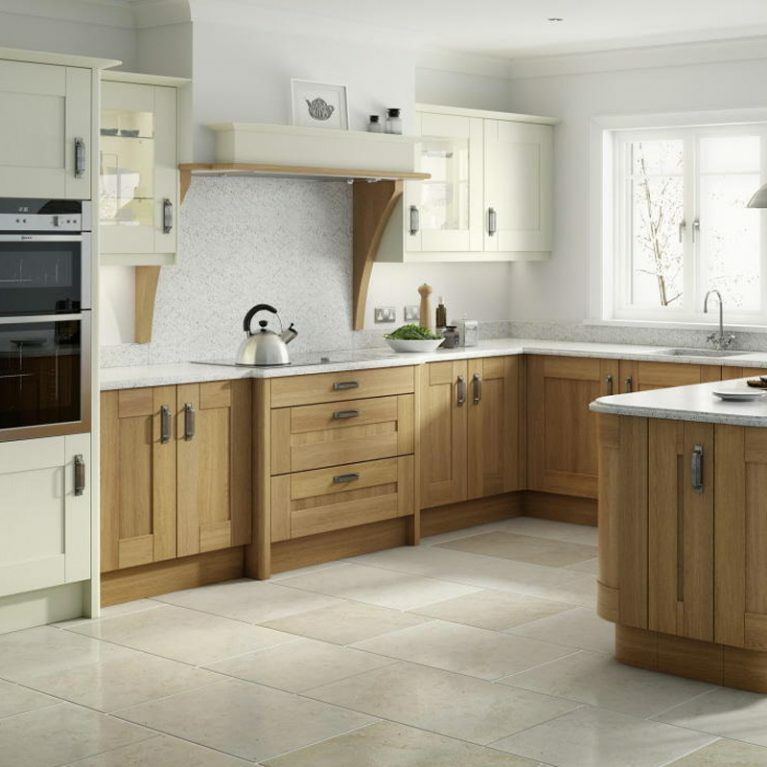 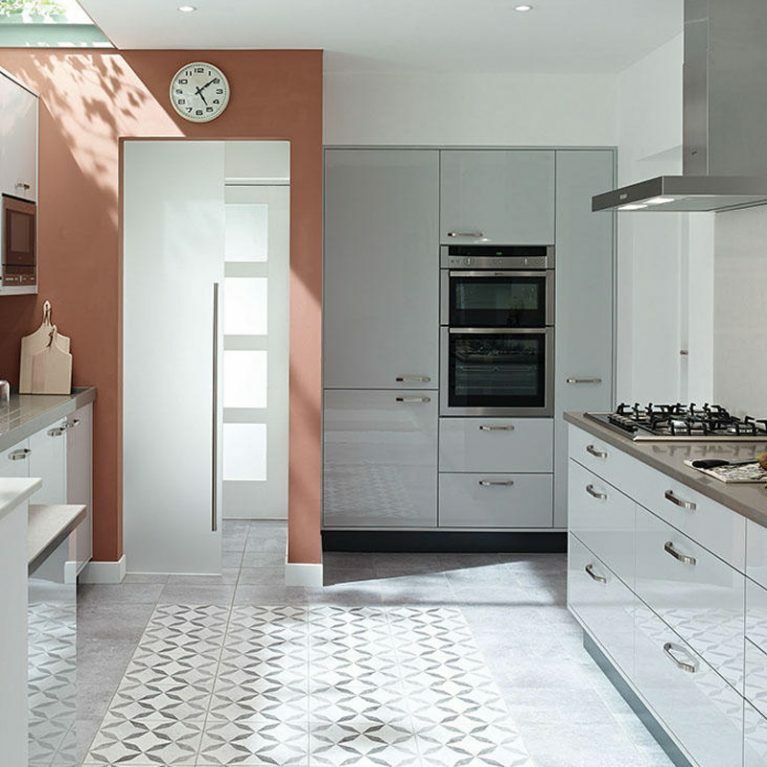 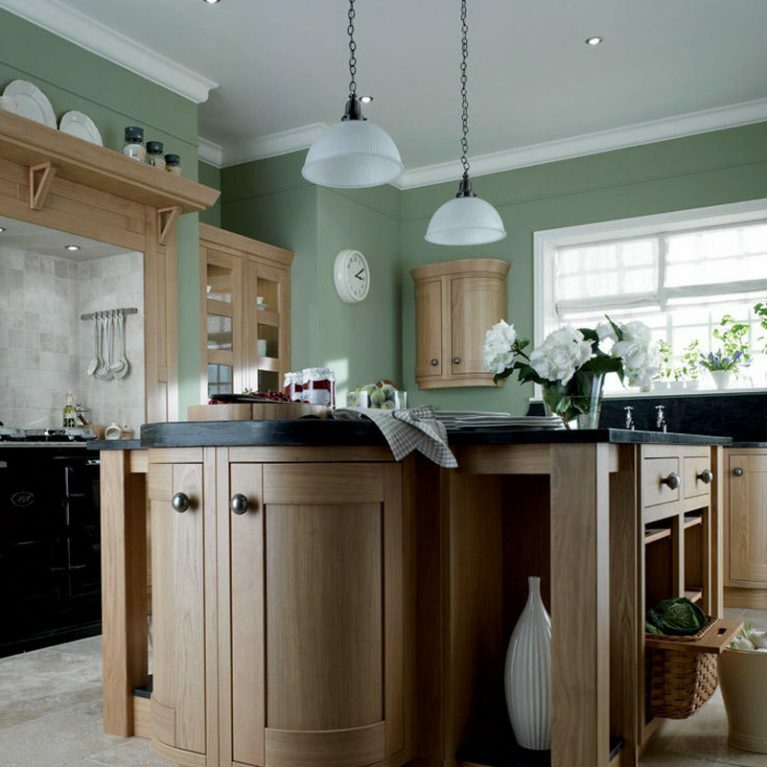 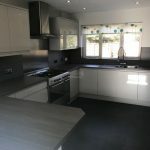 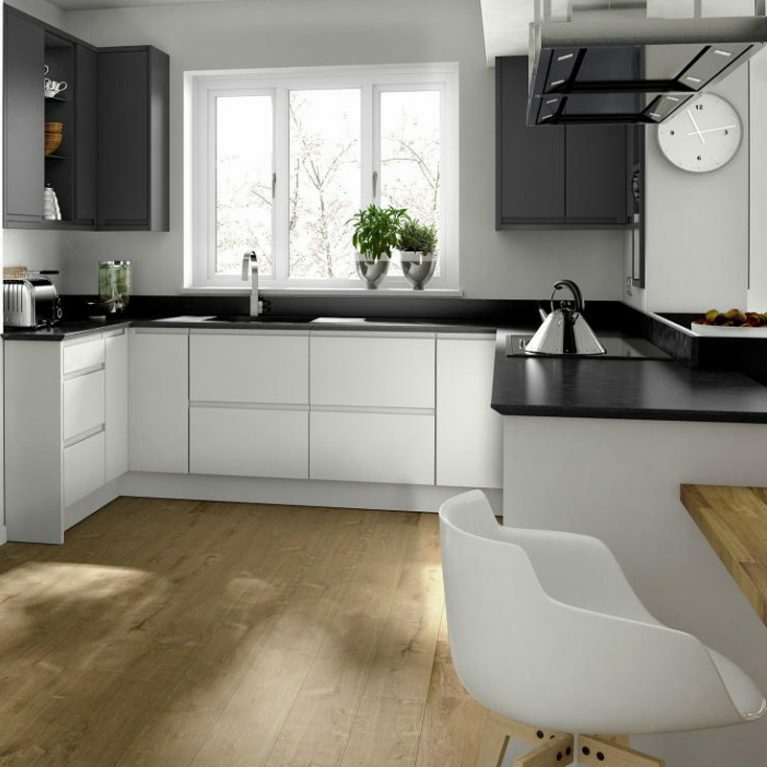 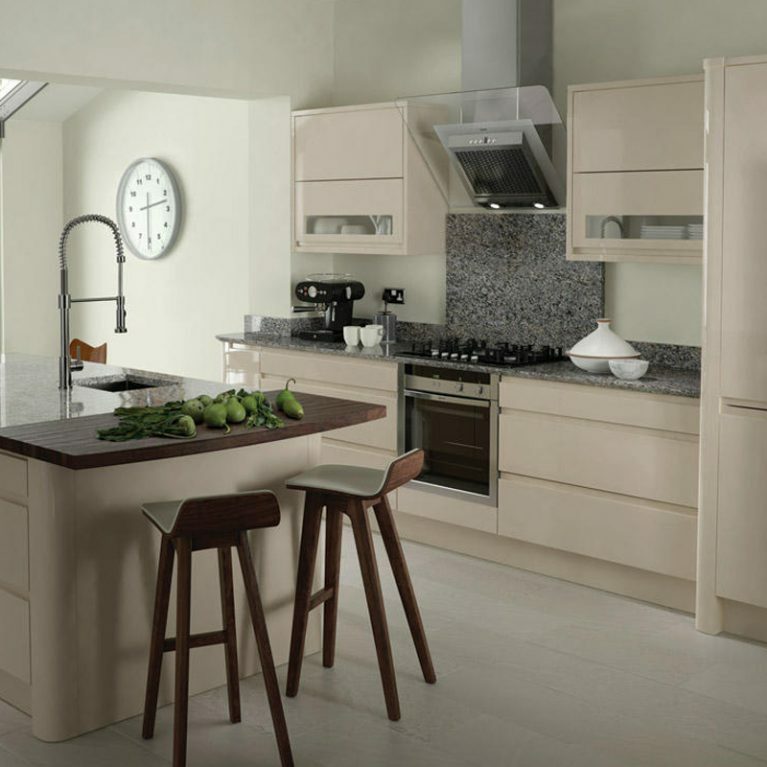 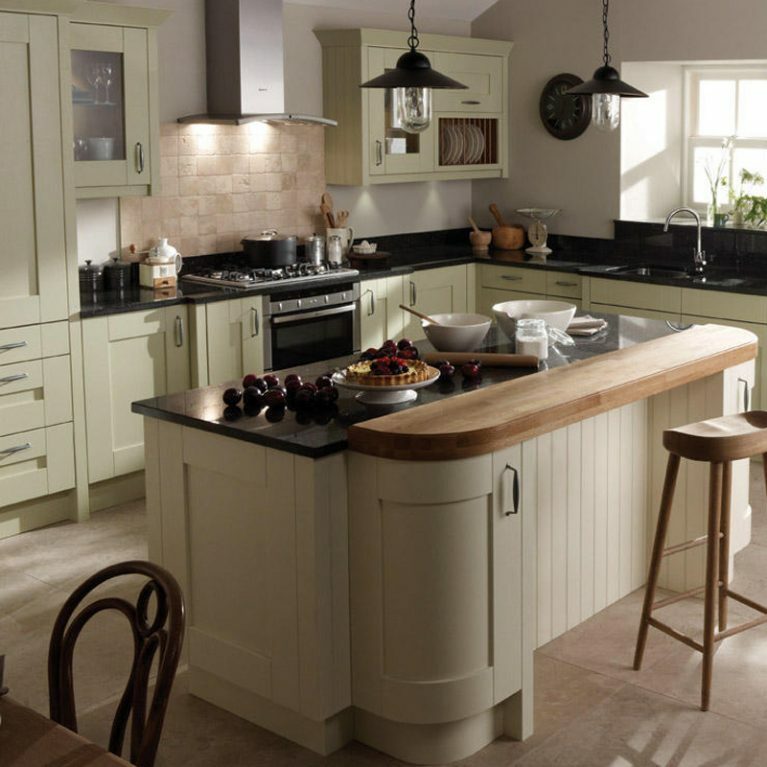 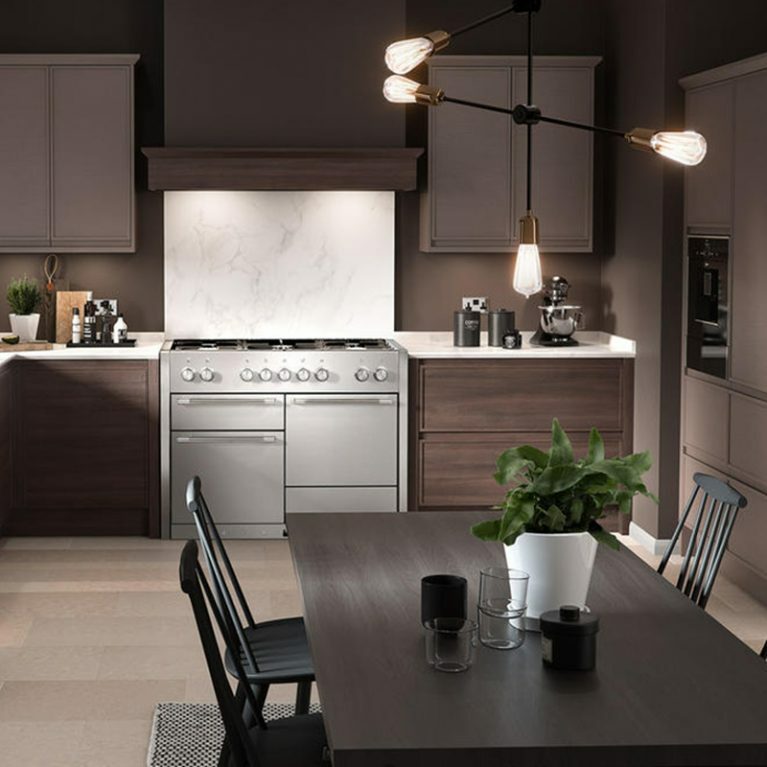 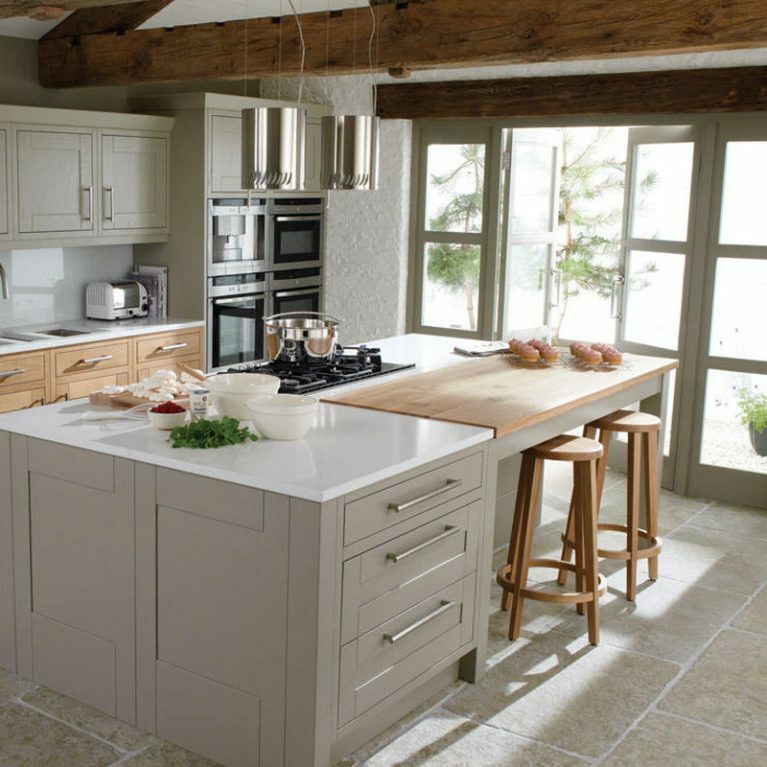 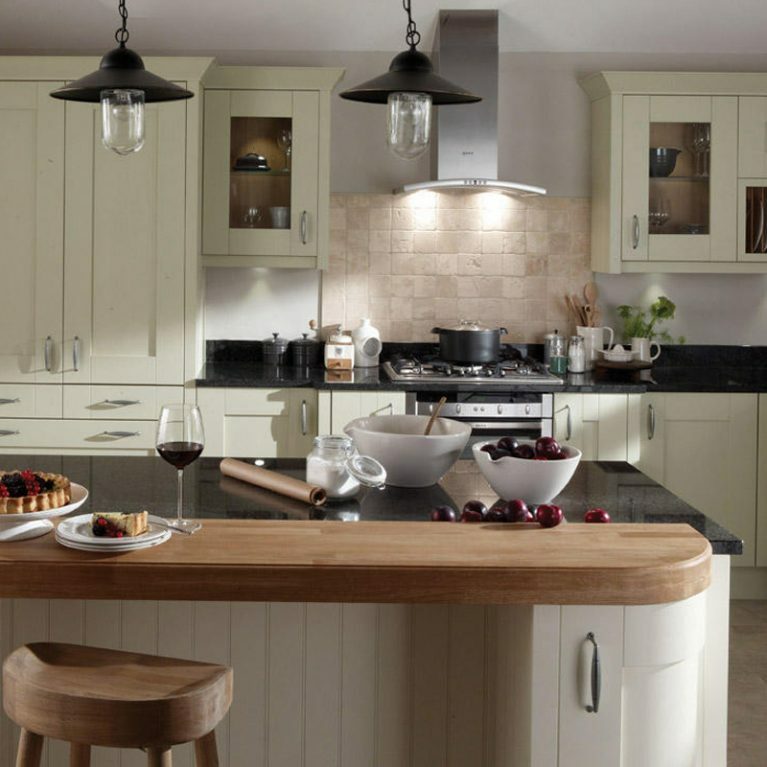 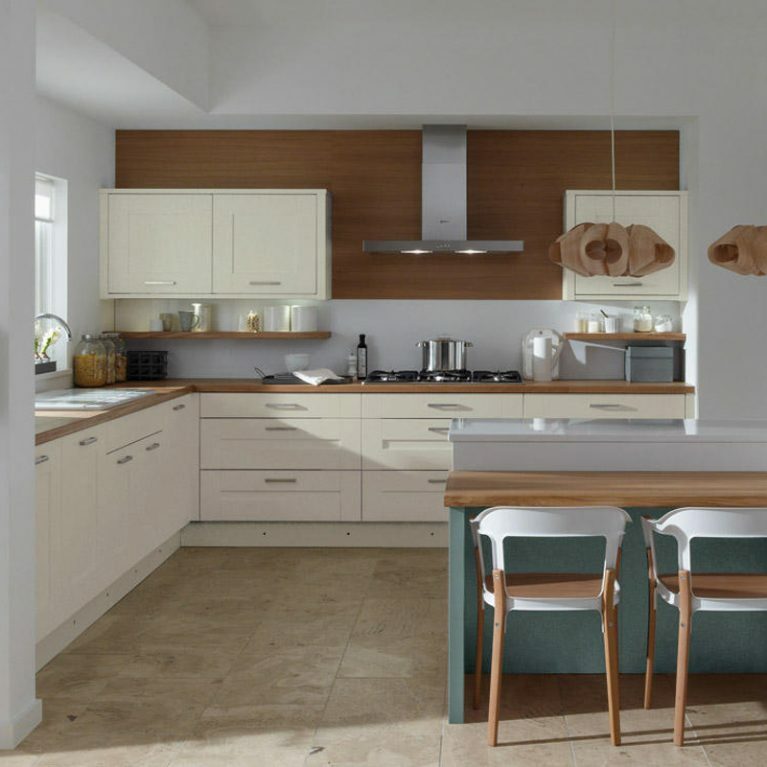 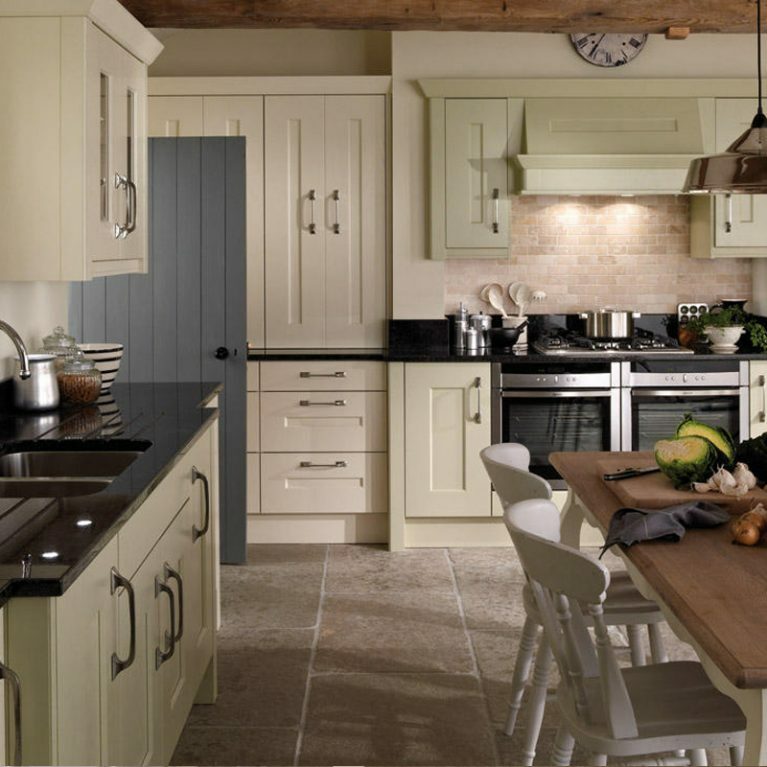 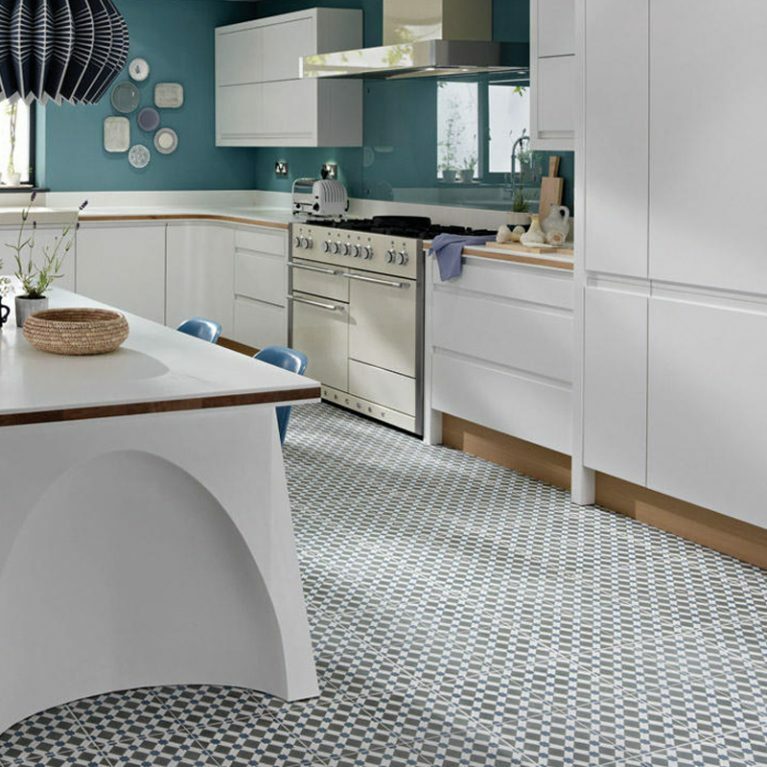 Whether you want a colour which will stand out or something more subtle that creates a neutral foundation for your kitchen space, rest assured that the Lichfield kitchen will work for you. 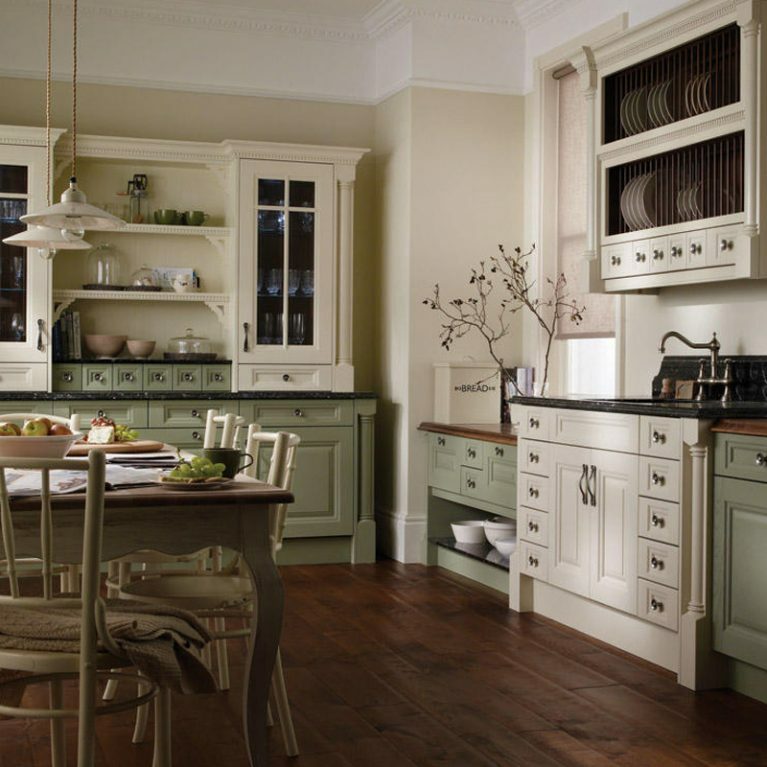 Add a little depth to the room by combining a mixture of hues for your upper cupboard space and lower cupboards. 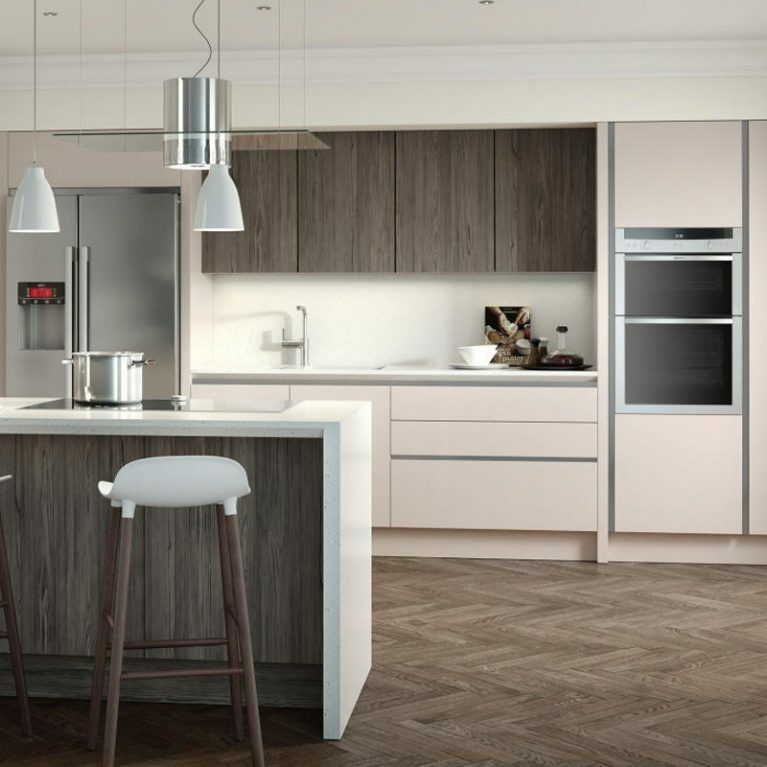 The cupboards are finished with a gorgeous textured look, with natural looking groves and patterns designed to mimic the appearance of real wood. 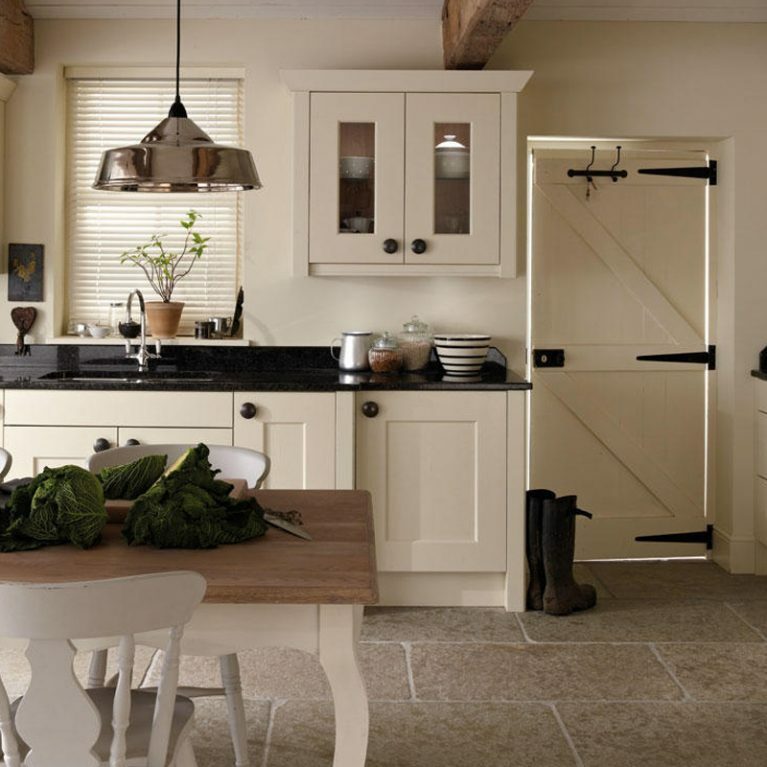 This creates a real warming effect and adds a lot of depth and warmth to the room, regardless of what colour you opt for. 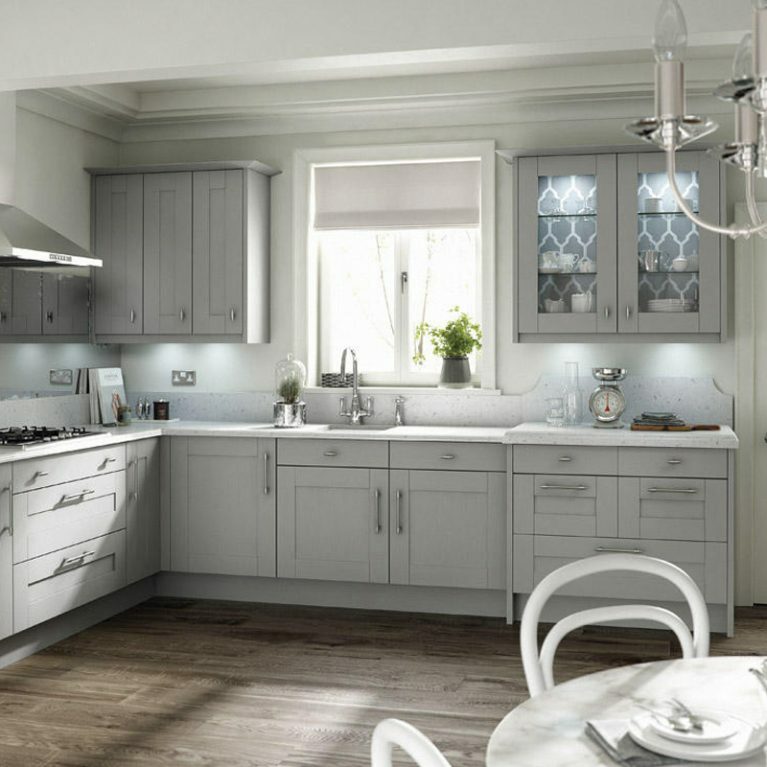 Without a doubt, the star of the show with the Lichfield kitchen is undeniably the gorgeous and glossy white worktop, which creates a wonderful contrast from the smooth, grainy cupboards, with a deep and subtle sink fixture with a chrome tap function. 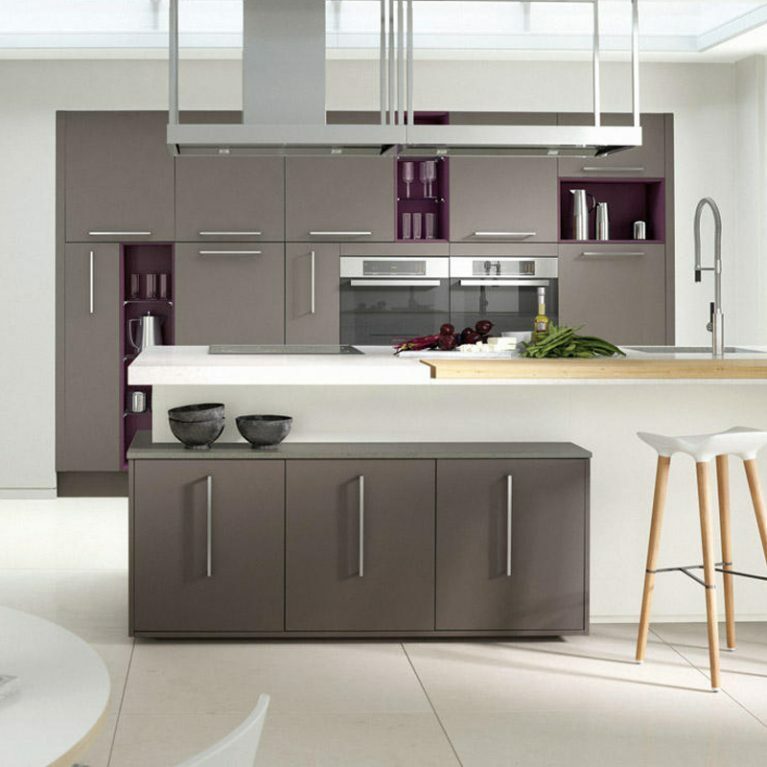 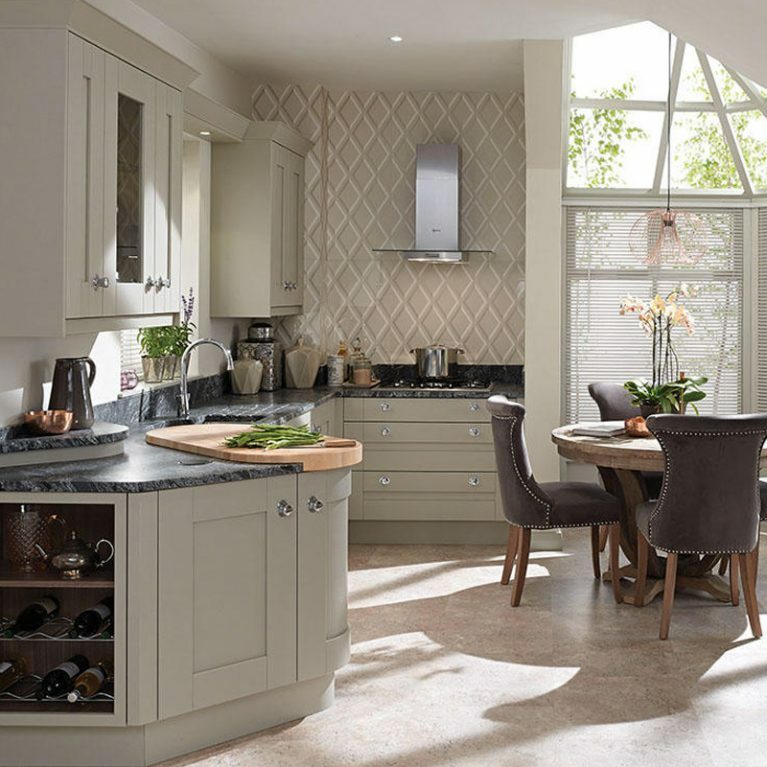 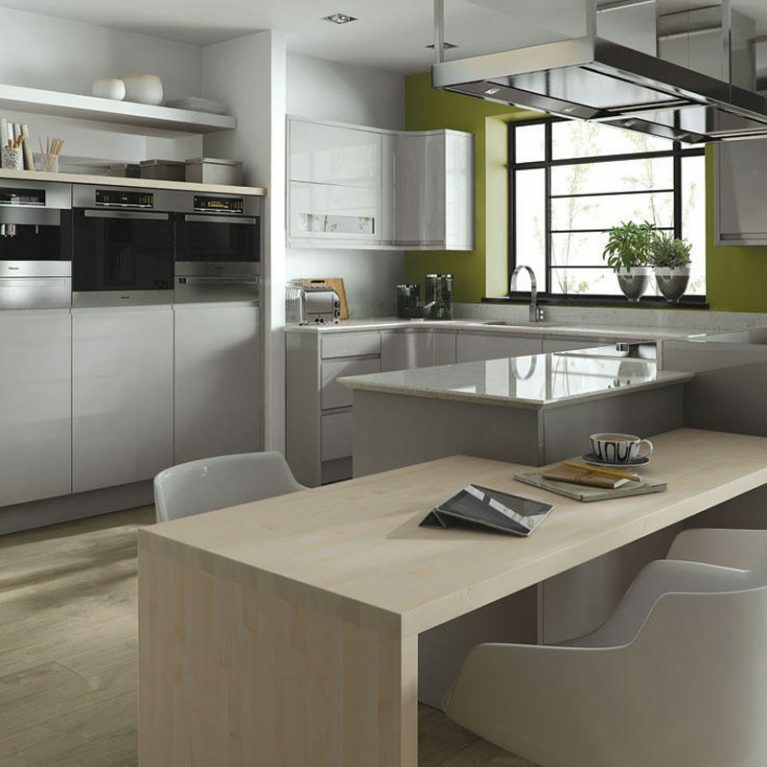 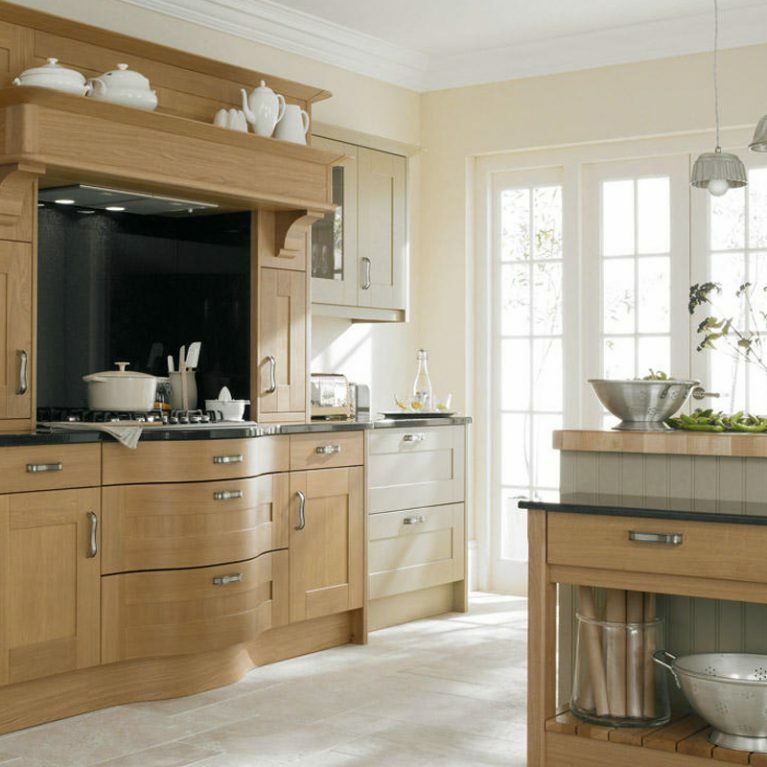 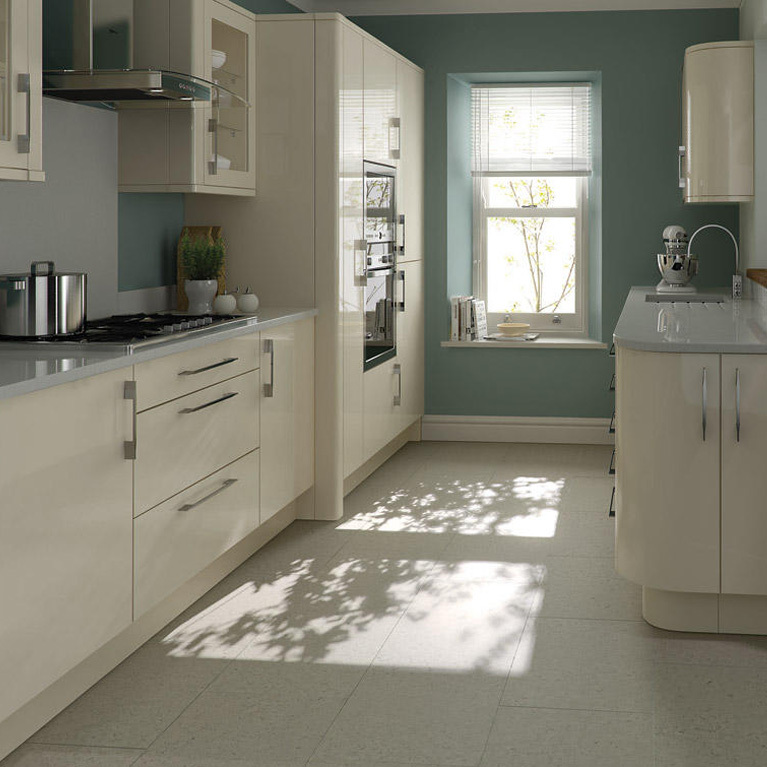 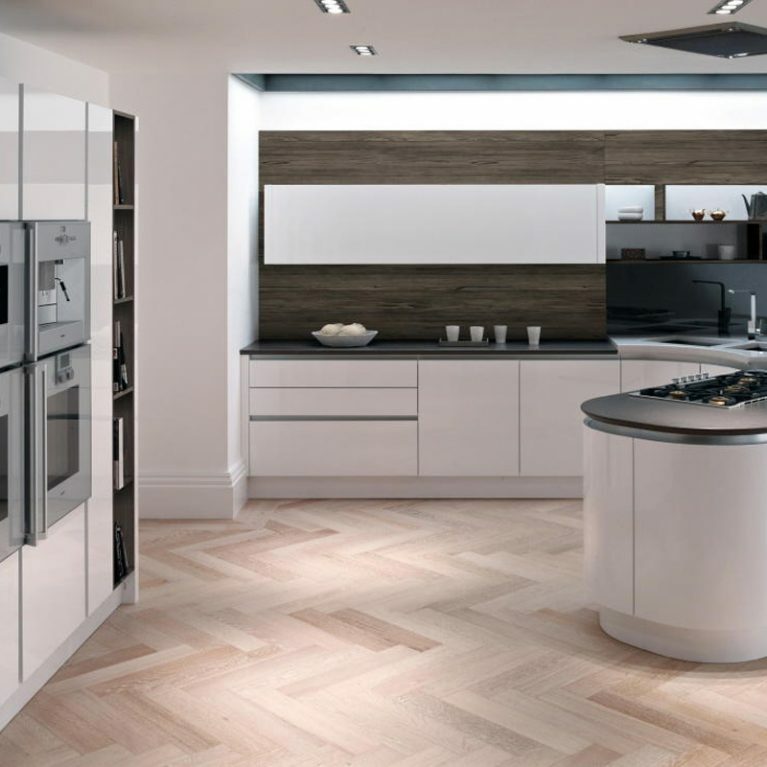 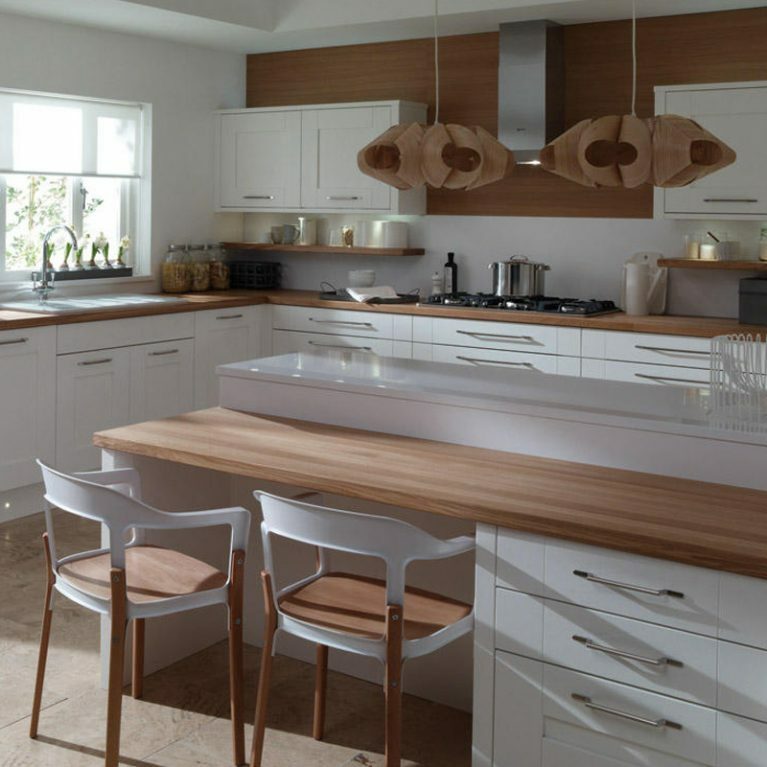 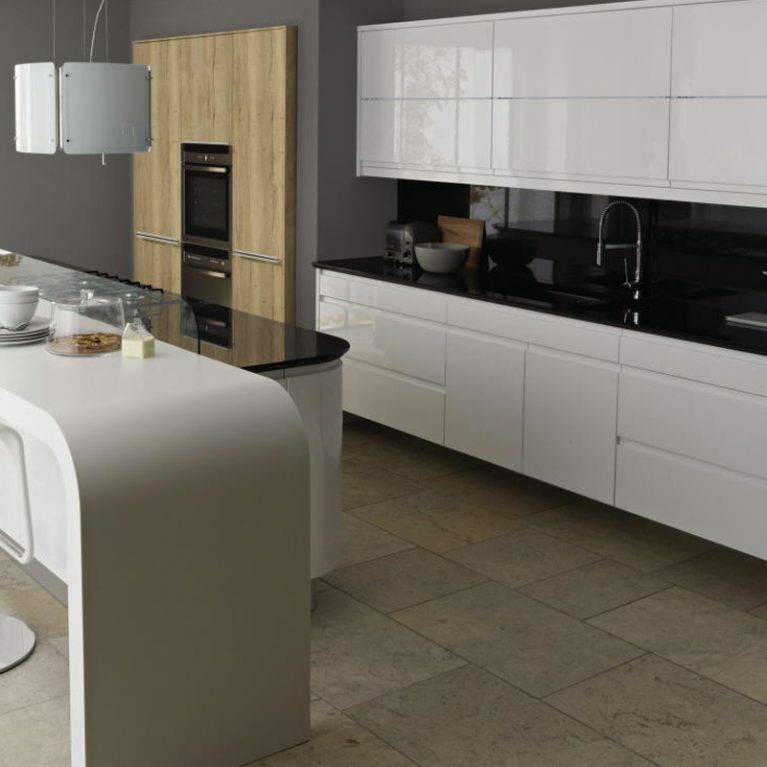 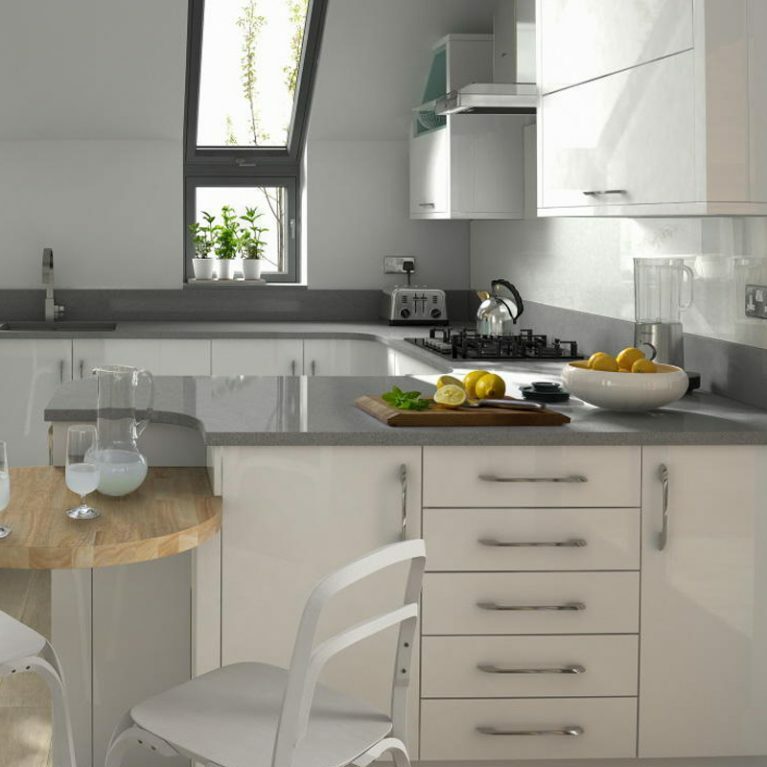 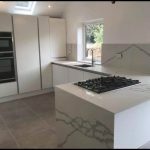 Our Lichfield modern kitchen was built for the classy and contemporary home. 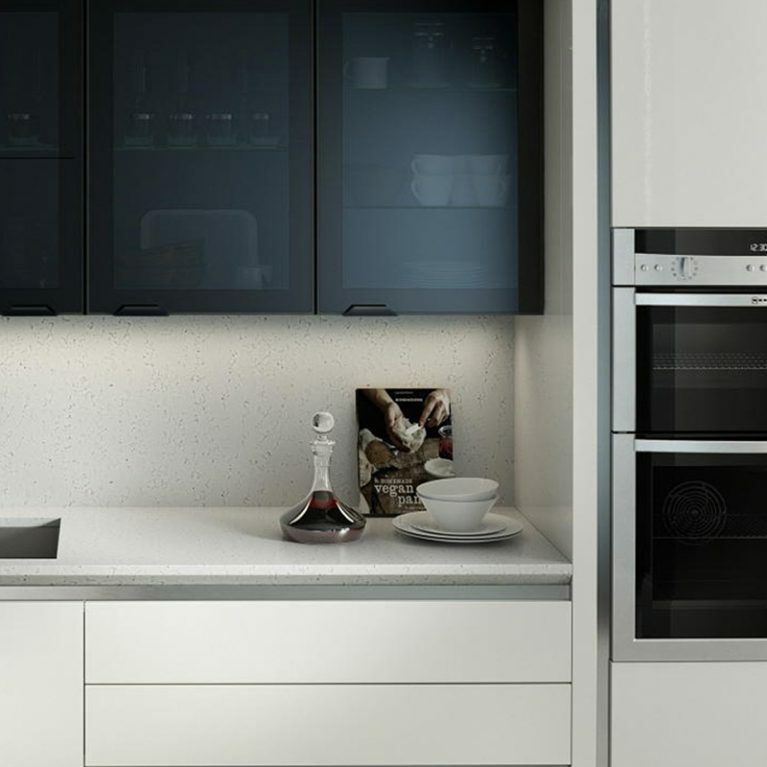 The seamless edges and stylish finish is perfect for young professionals, whilst the functional J-pull design is perfect for those with little ones running around. 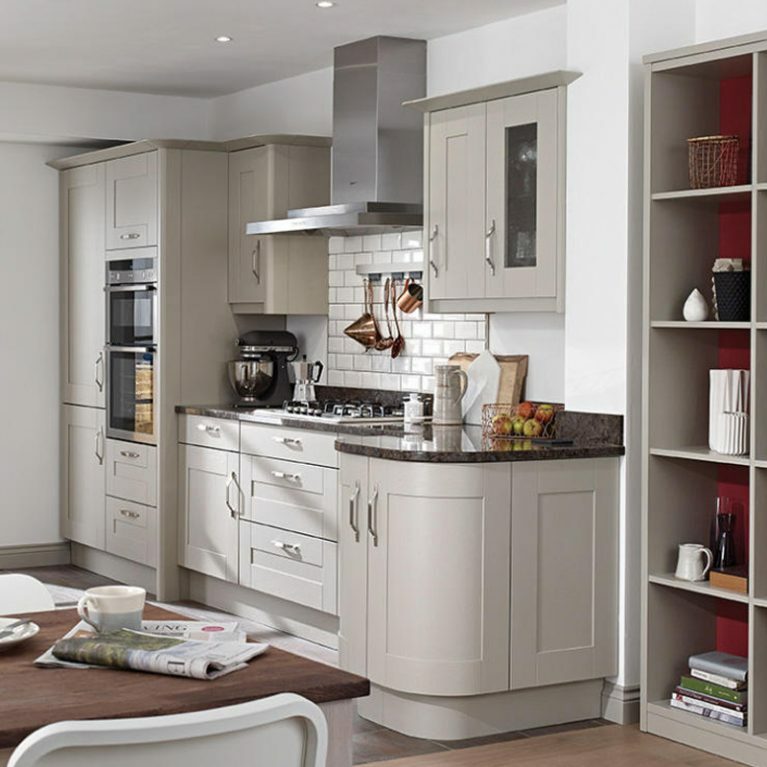 The wealth of cupboard space and hidden drawer sections allow for a clean and functional kitchen space, which is absolutely perfect for the heart of the home.